MEXICO CITY -- Canadian, U.S. and Mexican officials plan to schedule discussions on trade rules for auto production in North America if no progress is made on the issue in the current round of NAFTA negotiations, two people familiar with the matter said. Agreeing on new rules of origin for autos has been a major sticking point in the talks on reworking the North American Free Trade Agreement, which U.S. President Donald Trump has threatened to ditch if it is not recast to his liking. Talks on the issue during the seventh round of negotiations in Mexico City were suspended this week when the U.S. negotiator overseeing auto rules of origin, Jason Bernstein, unexpectedly returned to Washington for consultations with industry. However, two people familiar with the negotiations said they expected so-called "inter-sessional" talks to be agreed to discuss the matter if Bernstein did not return and no further progress was made on auto rules between the three nations. Officials say Bernstein is unlikely to come back. The plan would be to arrange them as quickly as the three sides can agree on a date, one of the two sources said. Under NAFTA, 62.5 per cent of the net cost of a passenger car or light truck must originate in the NAFTA region to avoid tariffs. Trump wants the threshold raised to 85 per cent and is also seeking to ensure half the total content is U.S.-made. The auto industry has opposed Trump's demands on higher content, arguing it will disrupt supply chains and raise costs. Mexican officials say the issue must largely be resolved between the White House and U.S.-based industry bosses. Negotiators have struggled to advance on the auto proposal since it was submitted in October, but automakers are evaluating ideas put forward by Canada last month to include newer technology in the calculation of a vehicle's value. 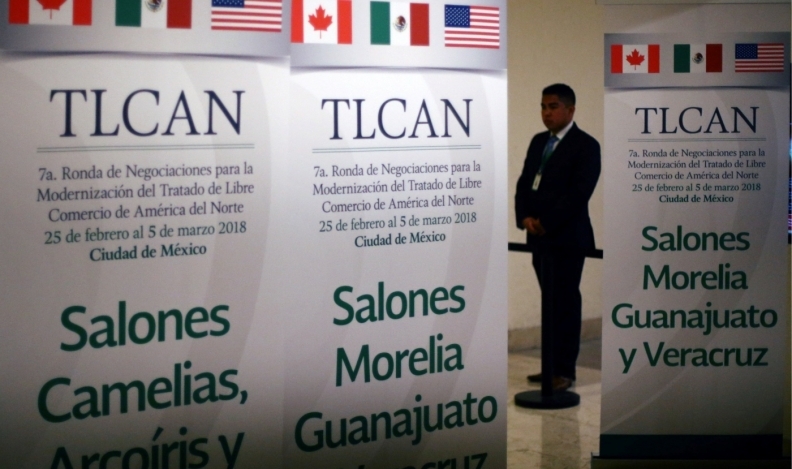 The current round of negotiations is due to conclude on Monday, when Mexican Economy Minster Ildefonso Guajardo, U.S. Trade Representative Robert Lighthizer and Canadian Foreign Minister Chrystia Freeland are scheduled to meet in the Mexican capital. Officials say a fresh round of NAFTA negotiations could be scheduled for late March or early April, depending on how the ministerial consultations pan out. Separately, a private-sector official familiar with the talks said that negotiators from the three sides had now completed talks on good regulatory practices.